Catalogue > Cities: maps and sights of cities and villages > 2. Friesland, Groningen and Drenthe > LEEUWARDEN. Stadsweeshuis en Sint Anthonie Gasthuis. 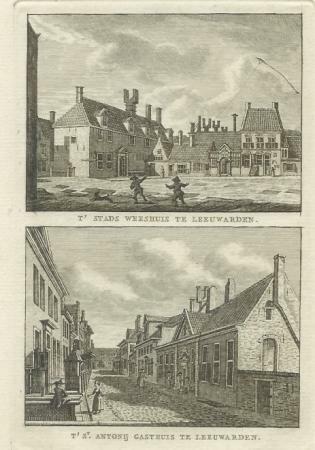 T' STADS WEESHUIS TE LEEUWARDEN. / T'ST. ANTONIJ GASTHUIS TE LEEUWARDEN.